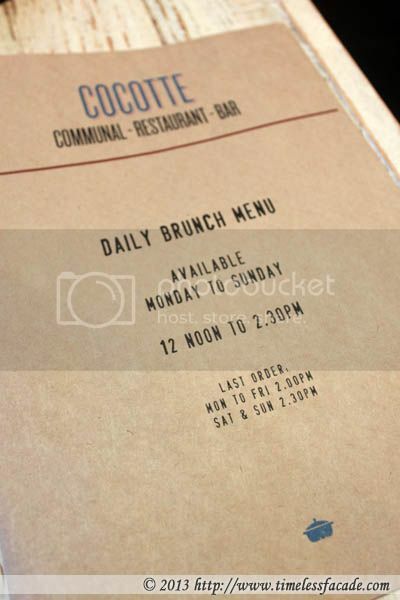 Although Cocotte's brunch was a great experience on my first (and only visit), I never really got down to revisiting as I didn't fancy jostling for parking space on a weekend. 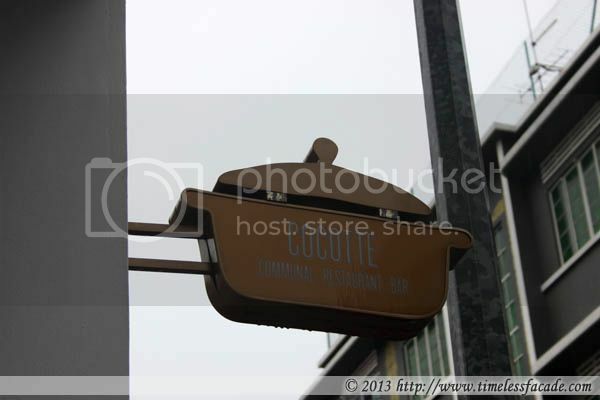 But now Cocotte has launched an all week brunch menu during its lunch time slot and thanks to the restaurant, I had the opportunity to try it out again. The place hasn't changed a bit since my last visit and is still rather spartan in some ways. The only difference is the apparent lack of crowds. I can say this from visiting Cocotte twice on my own accord (and expense) after this invite. But the lack of crowds may not be a bad thing from a customer's perspective (but definitely not from a restaurant's!) as it offers peace and quiet and of course a choice of seats. 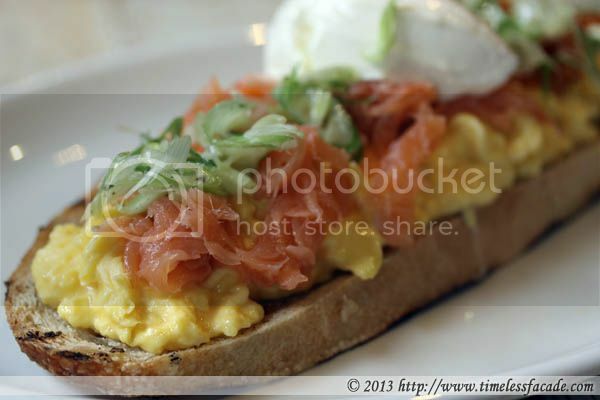 We got off to a great start with the hot smoked salmon sandwich, which featured thin slices of beautifully smoked Norwegian salmon sitting prettily on a bed of moist and creamy scrambled eggs atop a slice of nicely toasted white loaf. Absolutely beautiful. However, just a note of caution. On my return visit during a weekday, the bread was smaller, the eggs were less creamy and the quantity of salmon, significantly lesser. Which of course raises questions on consistency. One might also be inclined to suggest that quality and quantity during tastings don't reflect the actual standards of day to day operations. But to be fair, I will give it another try before passing any judgement. Next up was the provencal tuna, which was essentially Nicoise salad with tuna on a toasted baguette. I honestly didn't find this too special although the sliced eggs and tuna chunks were aplenty. The baguette was also a little too hard for my weak jaws and wrists (had to slice it with a knife) to handle. 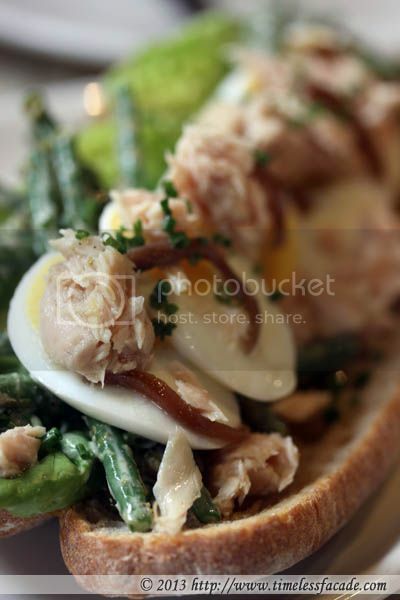 But if you are a huge Nicoise salad fan, you might just like it. Based on this invite and my 2 individual outings, this dish was the most consistent. And at $14, I personally find it a steal. Very fine, almost silky texture coupled with crisp skin and a light flavour. 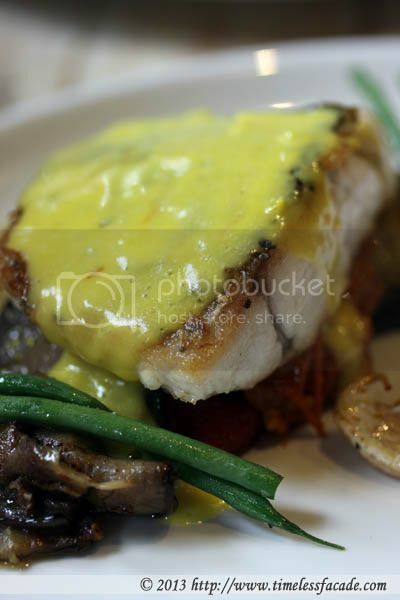 Easily one of the best fish dishes I've had in a long time. 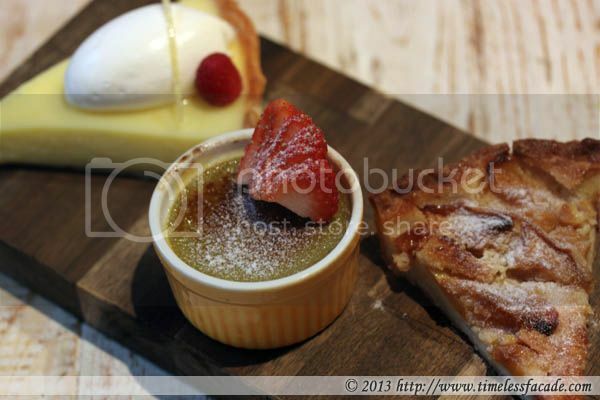 Desserts are evidently not Cocotte's forte as neither of the 3 desserts in the dessert platter shone, with all coming across as average. Nonetheless, it was a sweet way to end off our wonderful meal. 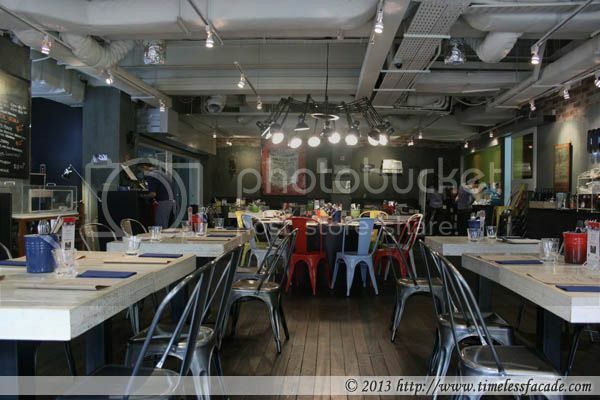 In a nutshell, Cocotte offers some really good dishes at a very reasonable price. However consistency needs to be worked on. Service is decent. Thanks to Cocotte for the invite!